Your baby is getting longer and weighing more, and he is starting to sleep and wake at regular intervals. You may find that you're not sleeping quite as well, due to pregnancy-related restless legs syndrome, but your doctor or midwife can help your combat this annoying disorder. 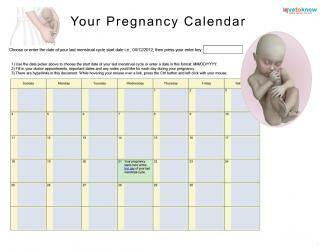 At 24 weeks into your pregnancy, or 22 weeks since conception, you baby is measuring almost a foot from head to toe. He now weighs about 1.3 pounds on average. How Long After the Water Breaks Before the Baby Is Born? The Mayo Clinic notes that the big development for this week is your baby's sleeping and waking patterns. Unfortunately, your little one's sleep cycles don't follow those of older children or adults. He sleeps for a few hours, then is awake for a few hours. These waking and sleeping periods will become more regular, but at this stage, they aren't predictive of your baby's future sleep patterns. If you find that your little one is waking you up at night already with his movement, just try changing positions and relaxing a little. According to the American Pregnancy Association, your uterus now reaches about two inches above your belly button. You may also be experiencing a few new pregnancy symptoms. You may also notice that your skin and eyes are drier than normal. This dry skin can make you itchy and uncomfortable, so slather on some moisturizer to help. For dry eyes, it helps to use eye drops. However, always talk to your healthcare provider before using any over-the-counter medications. If you're noticing a crawling sensation in your leg muscles or feel a constant need to stretch and move your legs, you may be experiencing restless legs syndrome (RLS). According to WebMD, more than a quarter of pregnant women experience this sleep disturbance. The symptoms usually start late in the second trimester and peak in the third trimester. Researchers aren't sure what causes pregnancy-related RLS, but it may be related to iron levels, hormones, or muscle strain from pregnancy. If you're having problems sleeping, talk to your doctor or midwife. Between the 24th and 28th weeks of pregnancy, your doctor will request a glucose screening to check for gestational diabetes. The American Pregnancy Association reports that up to five percent of pregnant women have this complication, which involves unhealthy spikes and dips in your blood sugar levels. Uncontrolled gestational diabetes can be a risk to you and your baby, so this screening is important. When you are screened for gestational diabetes, your healthcare provider will have you drink a high-sugar, syrupy beverage and will then measure your blood sugar one hour later to see how your body processes the sugars. 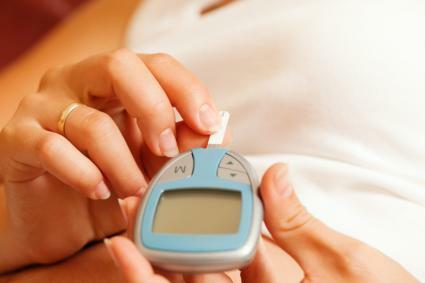 If you have an unhealthy blood sugar level after the initial screening, you'll come back for a follow-up test. For the follow-up screening, you'll have to avoid eating or drinking anything for 12 hours prior to the test. Then you'll have you sugar level tested immediately upon arriving. After that, you'll drink a stronger sugary beverage and will have your sugar tested hourly for a period of three hours. Your doctor may also monitor your baby's health more closely than usual. Whether you pass your gestational diabetes screening or not, it's still very important to keep eating a healthy diet. Your little one still has a lot of growing to do, and taking those prenatal vitamins and eating well will give him the nutrients necessary for healthy growth.